During the Fifties’ heyday of trophy hunting, a local man stalked North American big game. A disrespectful acquaintance who knew her way around the woods tagged him with the title’s nickname. 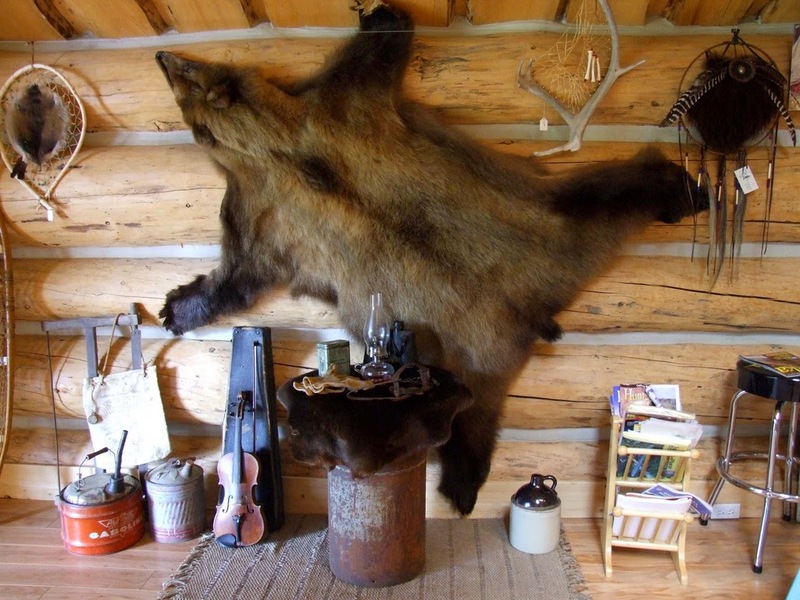 I chanced to visit one of his granddaughters shortly after she had helped empty her childhood home, and Lydia mentioned that she had found five bearskin rugs in the attic. Bearskin rugs present unfamiliar housekeeping challenges. A quick surf of “Jonas Brothers care of bearskin rug” turned up technical comments from a North Seattle trophy caretaker. Jonas Brothers, whom I grew up believing to be one of the few Seattle businesses that was known internationally, wrote the book on taxidermy. I’d look to them for notes on managing a skin. Short version-hang on the wall suspended by a careful assembly of metal rings. I have trouble dispatching a moth, so the notion of confronting a large, intelligent carnivore even with a good rifle and back-up is more than I am able to grasp. It seems as if my friend has come into her grandfather’s legacy-a proud reminder of courage and prosperity, one for each descendant. The skins are worth taking some trouble to appreciate and use. One freezing night with no heat is all it will take learn that a bearskin is just as useful to a human being as it was to the bear.